Viewpoint: An interview with Jünger Audio’s Peter Poers. Jünger Audio was founded by Herbert Jünger in Berlin in 1990 after the fall of the Berlin wall. He grew up in the old East Germany, formally known as the German Democratic Republic (GDR). During the mid-1970s, Jünger studied electronic engineering and then worked for a high frequency measurement company. He was also a musician, where his vast knowledge of electronics was useful to other musicians in his band. “There was nothing available in the GDR at that time, so everything had to be rebuilt or copied,” Jünger recalled. The same was true in broadcasting, and Jünger’s talent for creating equipment that was becoming commonplace in the West brought him to the attention of television and radio engineers in his home country. 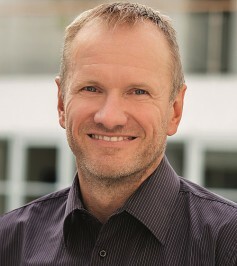 Herbert Jünger, founder of ​Jünger Audio. In the early 1980s, Jünger produced the first analog compressor in East Germany, based on the VCAs of a DBX unit that had been brought into the country through his aunt. Next, he made analog dynamic transponders, a creation that made him popular among broadcast engineers seeking to reduce the wide dynamic range of compact discs for FM radio broadcasts. The algorithm Jünger developed for these units also formed the basis of the first digital products produced by Jünger Audio, which was formed with his wife, Irmgard. The D1 was among the first digital compressor–limiters and addressed what Jünger saw as a distinct need in the German market. After a long career, both Jünger and his wife retired 18 months ago, handing the company over to Peter Poers, its current CEO. After graduation from Humboldt-University Berlin in 1988, Poers began his career at East-German Record Company. From 1990 to 1994, he worked in professional audio at Sony Broadcast. In 1995, he joined Jünger and has been managing the company for the last 10 years. Peter Poers, CEO of ​Jünger Audio. Poers is a member of EBU PLOUD and also ATSC TG, carrying out work on audio related topics such as dynamic range control, loudness control, surround audio and 3D audio. Over the past 26 years, Jünger Audio has established a global reputation among TV and radio broadcasters, IPTV providers, music recording studios and post-production facilities. In this edition of Viewpoint, The Broadcast Bridge spoke with Poers. The Broadcast Bridge: What was the unique technology, service or development that led to the founding of your company? Peter Poers: Originating from the former East Germany, our founder Herbert Jünger began designing analog compressor and expander combinations — called dynamic transponders — in the 1980s to meet the needs of the local broadcast requirements. Following the fall of the Berlin Wall and initiated by the chance of founding private companies, he established Jünger Audio. The unique design of the analog circuits has been transformed to a mathematical model and therefore compiled finally to DSP code. The first commercially available product was the D1 digital compressor/limiter and was developed to meet the needs of the emerging CD mastering market. It allowed use of the full dynamic range available from 16 bits but without any clipping or unwanted artifacts. By using fully adaptive controlled processing algorithms, it was based on the unique multi-loop wide-band control circuit design. In turn, it spawned a whole family of related digital processors that found great success in various sectors — mastering, production and broadcast. The Broadcast Bridge: What differentiates your company from your competitors today? What do you offer that is unique? Peter Poers: Our philosophy is centered on two major priorities — perfect audio and ease of use. Even though we develop and utilize the most technically advanced algorithms and processes, everything we produce is designed to provide the maximum possible audio performance whilst remaining simple and intuitive to operate. That’s possible because of consequently using adaptive controlled processing circuits. All dynamics circuits and all the level and loudness control solutions by Jünger Audio are made in a way that allows them to perform sophisticated dynamic gain control but without touching the sound and the dynamic structure of the source material. The Broadcast Bridge: What are the key market developments facing audio companies like yours today? Peter Poers: The niche for specialized audio products is becoming even smaller due to a common and increasing trend to “virtualize” and to create more integrated workflows. Looking at the broadcast market, we have seen a greater demand from clients to provide more and more content, faster than ever and for multiple delivery channels, but without any increase in resources. At the same time, there is greater pressure to reduce operating and investment costs. This means that broadcasters have to work in a smarter and more efficient way by utilizing solutions that introduce a higher degree of automation and depend less on manual operation or intervention. The Broadcast Bridge: You are on the professional side of the audio business. Has the transition away from large facilities to home studios affected your business and how do you adapt to the change? Peter Poers: In the past we have seen this shift. Our business is increasingly concentrated on the professional broadcast market where we are seeing another shift with more production being carried out in smaller regional facilities with fewer staff numbers and often no audio engineers. This potentially means that a regional news reporter, for example, must operate all video and audio equipment single handed, which can result in quality compromises that the downstream network may have to deal with under immense time pressure. Products that utilize smart processes and algorithms that complement each other are the solution to ensuring consistent, high quality and coherent audio all the time. That’s the basic idea behind our collection of Smart Audio processing algorithms that we are presenting today. The Broadcast Bridge: What new technologies are affecting the way your technology works today? Peter Poers: Probably the most obvious example of an ongoing technology shift for us is the adoption of ‘all IP’ and also of Audio over IP for production, contribution and distribution. Simplicity and efficiency are the key demands. Broadcasters need equipment and products that are fully interoperable with others from multiple vendors that can integrate seamlessly with existing infrastructures and automation and control systems. AoIP is a fantastically convenient way of transporting audio over existing and familiar communication networks and with AES67. It’s now becoming easier to integrate products using different base protocols onto the same network. Many of our products have the option of incorporating AoIP alongside the more familiar SDI, MADI and AES I/O formats. The Broadcast Bridge: Finally, what will your business look like in five years? Peter Poers: Although we have historically focused on hardware based real-time digital audio processors, we are seeing an increased demand for software-based solutions from the market. We have already released our first software product in the form of a Digital Audio Workstation Plug-In and I expect that software based processing in general will be an area that we will be paying even more attention to in the future. One way for us will be a hybrid solution case where we will combine server-based audio computing with dedicated hardware based audio infrastructure elements. That can be AoIP but also SDI video or even down to analog audio I/O. Another field of business will be more OEM and licensing activities to deliver our performance, experience and skills in audio control for many different technical platforms. Similarly, we are licensing our well known Level Magic technology to a number of market leading manufacturers in other fields of application areas.